The least microwave oven problems can do is ruin your dinner plans. But more often than not, they can also put someone’s safety at stake. Don’t let that happen! Call us now for expert microwave repair in Passaic, New Jersey. We are the local kitchen appliance specialists to trust your microwave with. We can fix problems with all models and brands. Let us take a look! All pros here at Passaic Appliance Repair are specialists in troubleshooting and fixing microwave ovens. If the appliance can be fixed, we will have it back up and running in no time. If not, we have the honesty to tell you so. Call us today. If you want fast microwave service in Passaic and honest home appliance experts, we are the ones to call. We always keep a professional stance and offer honest solutions to microwave problems. Rest assured that each and every technician in our company is fully trained, experienced, and qualified. We keep the equipment needed with us and run some checks to examine whether the problem can be fixed or not. All repairs needed are done on the spot. We can replace all burnt out parts and handle the most complex issue. 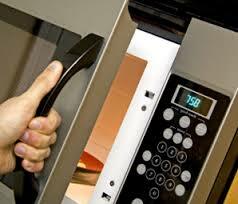 We do any required microwave repair as quickly as possible. Since our pros come fully equipped, worn parts are replaced and the appliance is fixed in no time. Not only can we repair microwave ovens, but also maintain them and install new units. So call us for whatever you need. All services are provided in the most professional way. Our microwave technicians have the skills to service and install all models. Ask our help if you want to install a built-in microwave or got trouble with a counter top model. Whatever your requests are, you can trust them to our Passaic microwave repair technicians. Contact us.